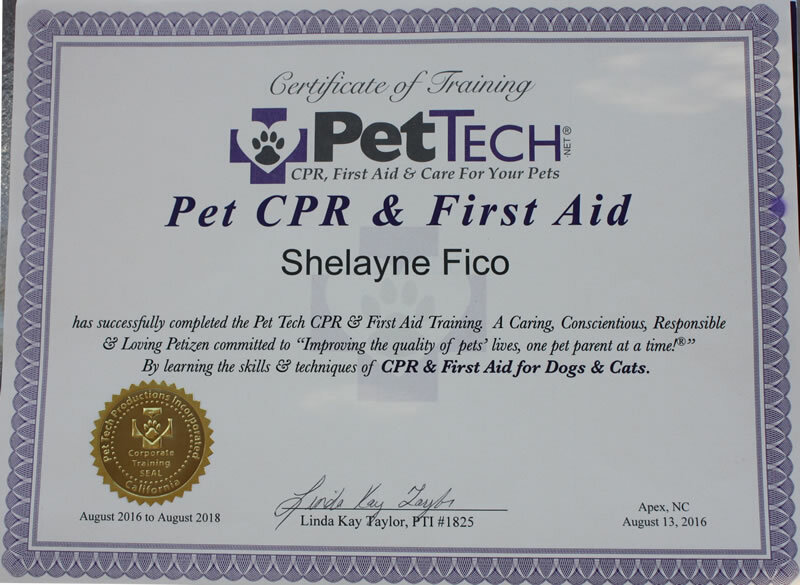 My name is Shelayne Fico and I am the owner of All Things Pets. 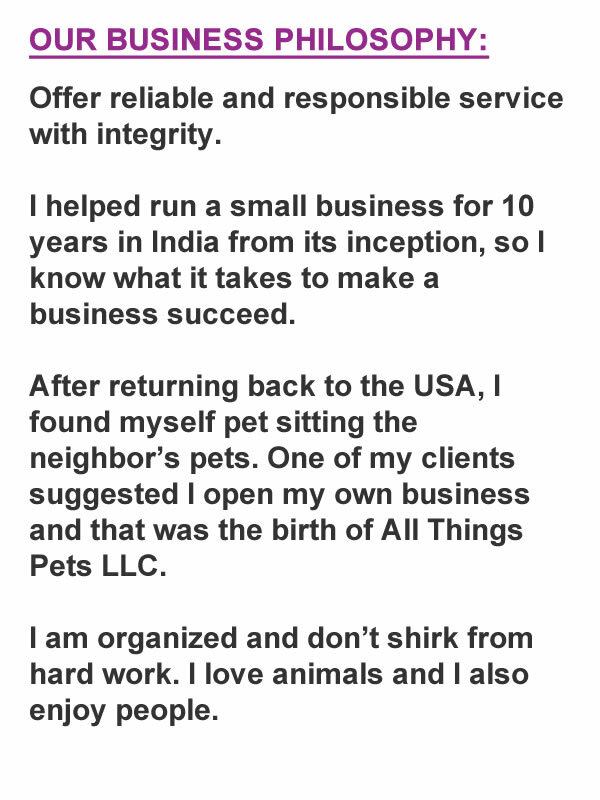 I moved back to the USA a few years ago after helping run a small business abroad and started watching and caring again for neighbors’ pets. 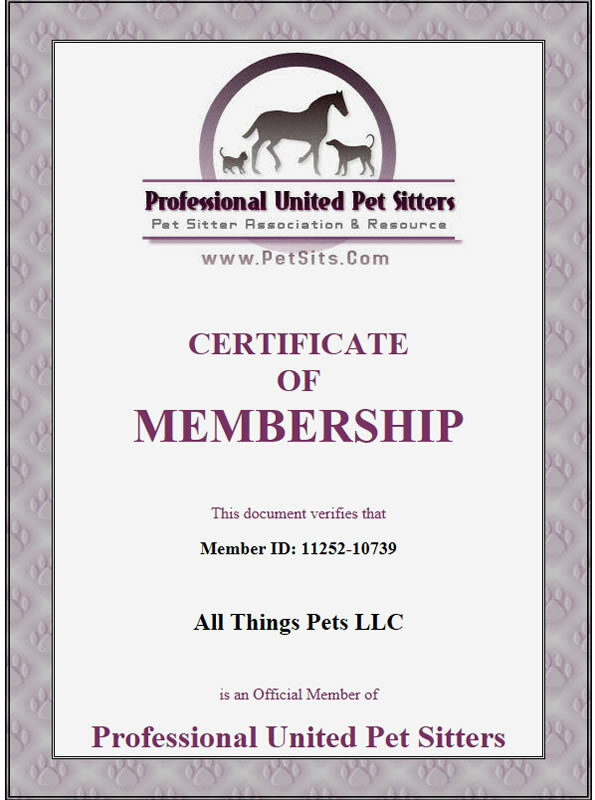 I love animals and am passionate about their love and care, so I expanded to opening my own business. My whole life I have been involved with animals. From as far back as I can remember I was bringing home every stray cat or dog I found telling my mom and dad “Look who followed me home! Can I keep him/her?” Most of the time they said “NO”, but sometimes they said “YES”! I’ve owned cats, dogs, birds, fish, turtles, a horse and even two raccoons. I’ve taken care of so many pets including exotic ones that I’ve lost count. As a petsitter I am often asked, “Which pet is your favorite?” In all honesty, I have to say my most favorite pet is the one I’m with at that moment. I love them all! Each has their own unique personality and a quality that pulls at my heart strings! My parents said that for as long as they could remember all I ever talked about was horses. They have no idea where I got that from as no one they knew and no one in our family had horses. I was privileged to be able to own my own horse as well as ride and take care of other people’s horses for many years. 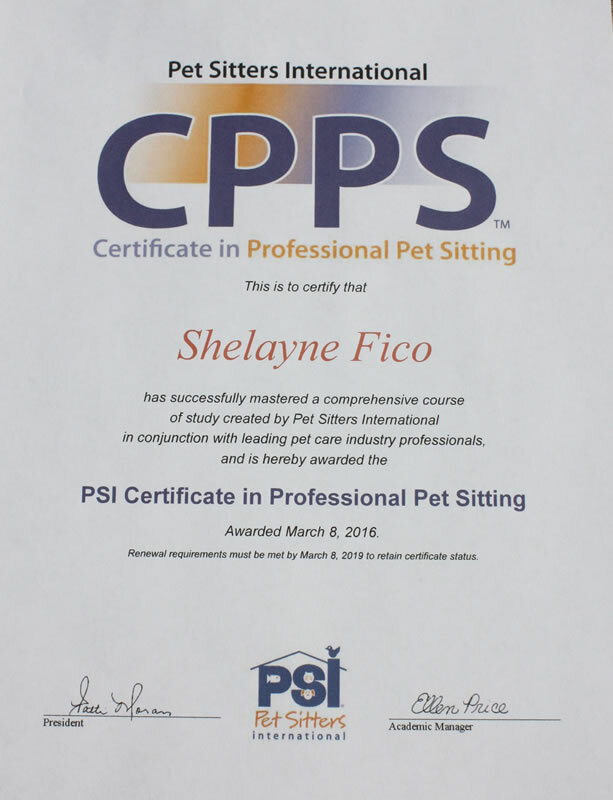 I am Pet Tech Certified for Pet First Aid and Pet CPR and am a CPPS Certified Professional Pet Sitter with Pet Sitters International and am a member of Professional United Pet Sitters (ID: 11252-10739). I joined my wife’s business in March of 2015. 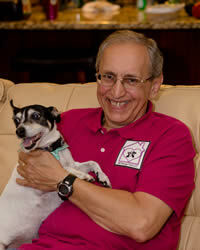 I have owned pets my whole life and am an avid animal lover. It seems wherever I am, I end up being a foster parent to someone’s pet! I currently work as a Certified Nurse Assistant so my pet sitting schedule works around that. 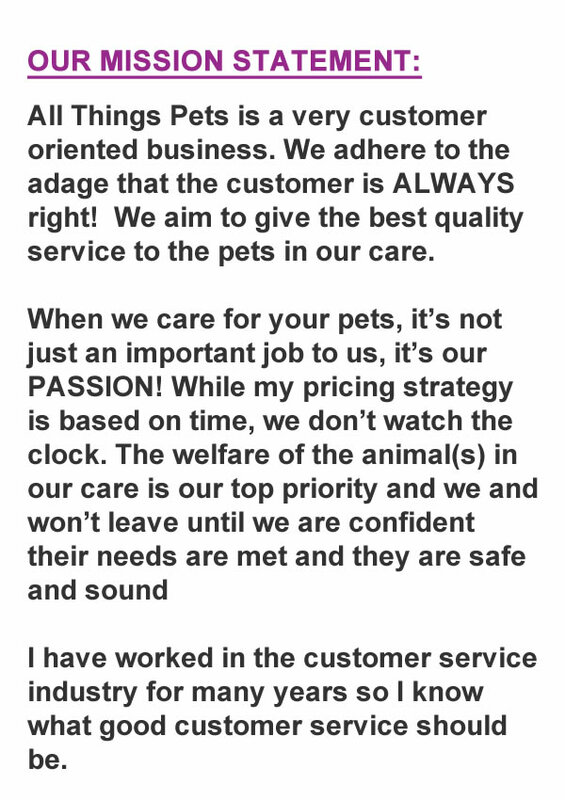 I am the proud owner of two dogs and a cat. I have been helping my mom since she started her business. 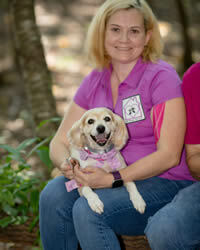 I love animals and I love to exercise so dog walking is one of my specialties. I work full time from home which gives me flexibility to step in when needed. 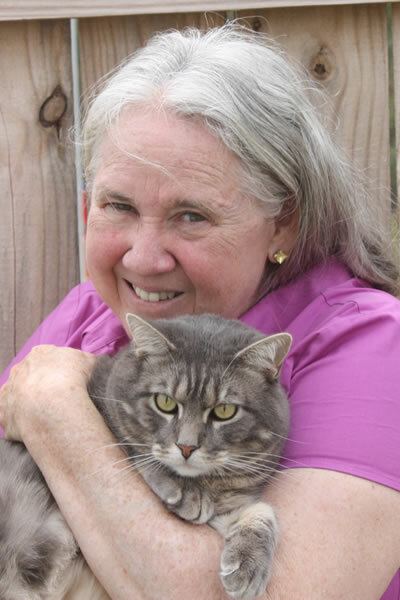 I inherited my love for animals from my Mom. I own a Husky called Shadow that I’ve had since she was 6 weeks old. In India, I took care of another Husky for a friend of my mom’s as she had to make an extended trip out of town. 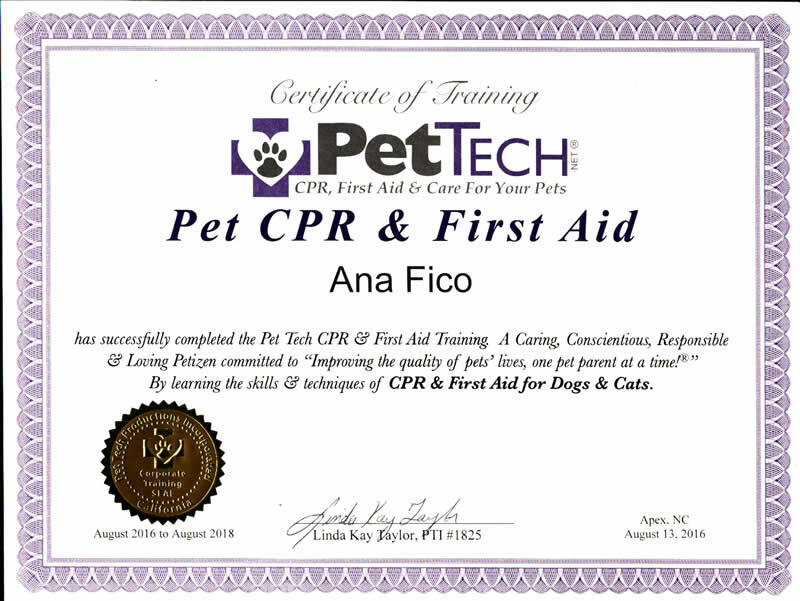 I am Pet Tech Certified for Pet First Aid. James, an Army veteran, is our acting consultant. 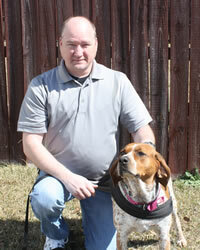 Over the years, he has owned and trained many dogs, both personally and professionally. Having James on our team helps to round out our pet care as he has a wealth of information and advice pertaining to canine training and is always willing to offer guidance to our particular needs. Misty, started off by accompanying her grandmother, Shelayne, on many of the daily dog walks and pet sit visits for a number of years. Now that she is older, she does assignments on her own. 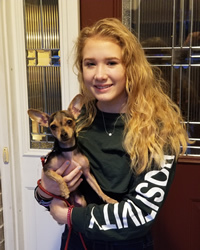 Misty has a great love for animals and every “Furbaby” she has met takes an immediate liking to her.